It don't mean a THANG If it aint got that TWANG! Sat, 9/5/09 All Day, Brewsters, Bradley Beach, NJ. All Ages 12+ Bands, Benefits The Cooley's Anemia Foundation. Get the details here! Check out our "RING of FIRE" band HERE! See below and our calendar page for other upcoming special performances and ticket orders! 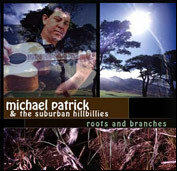 Jersey's own Countrified Roots Rockers "Michael Patrick & The Suburban Hillbillies" are on a mission to bring country rock music back to the state and offer fans a place to call home at their local area shows. Carefully blending elements of traditional country, 50's style rockabilly, folk & roots rock with a "jam-band rockin' edge," this group has devised a style that appeals to folks of all ages.